Born on February 8, 1931, in Marion, Indiana, James Byron Dean was the only child of Winton and Mildred (Wilson) Dean. Winton, a dental technician (a person who creates dental appliances), moved his family to Santa Monica, California, when Dean was six years old. Dean was particularly close to his mother, who had dreams of him being a performer. She enrolled him in tap dance lessons at the age of three, and taught him violin. his aunt and uncle's rural Quaker home, helping with farm chores and enjoying a reasonably carefree existence. He enjoyed swimming and ice-skating, and was interested in cars. He played guard on the high school basketball team and excelled at debate and drama. After graduating in 1949, Dean left for Los Angeles, California, and lived briefly with his father and stepmother. He entered Santa Monica City College, majoring in pre-law, but it was drama in which he shone. The following year he transferred to the University of California, Los Angeles. Befriended by actor James Whitmore (1924–), Dean obtained a small part in a television drama, Hill Number One. Soon Dean quit college and worked as a parking lot attendant, participating in auditions whenever they were available. In 1951, after landing only bit parts and a small role in Fixed Bayonets, a war picture, he left Hollywood for New York. There, in 1953, he landed a spot in the Actors Studio run by Lee Strasberg (1901–1982). Dean obtained a small part in See the Jaguar, which opened at the Cort Theatre on Broadway in 1952. After this his career took off. He did television plays and several more Broadway productions. He also developed a reputation for being talented but hard to work with. Television required precise coordination of cameras and actors. However, Dean was either unable or unwilling to repeat a gesture, move, or speech the same way. Despite this he won the Daniel Blum Theatre World Award for "best newcomer" of the 1953 to 1954 season for his role in The Immoralist. In March 1954 director Elia Kazan (1909–), who knew Dean from Actors Studio days, offered him a role in the film East of Eden. Dean was picked for two more parts. He finished filming Rebel Without a Cause, with Sal Mineo (1939–1976) and Natalie Wood (1938–1981) in June 1955 and began work on Giant. He costarred in this movie with Elizabeth Taylor (1932–) and Rock Hudson (1925–1985). Filming of Giant was completed in September and Dean was to start rehearsing for a new play, The Corn Is Green. But Dean had a few days free time in which he decided to do some car racing. Dean had bought a Porsche Spyder, which he planned to race in Salinas, California. On September 30, he and his mechanic, Rolf Wuetherich, were involved in a head-on collision at Paso Robles, California. Dean died in the crash. He was buried in Fairmount, Indiana, on October 8, 1955. Three thousand people attended his funeral. Less than a month later, Rebel Without a Cause opened in New York City and the Dean legend began. Warner Brothers received mountains of mail. Young people all over the world considered Dean a symbol of their frustrations. In 1956 he was nominated for Best Actor Oscars for his roles in East of Eden and Giant. He also received numerous foreign awards, including the French Crystal Star award and the Japanese Million Pearl award. By June 1956 there were dozens of fan clubs, and rumors flourished that Dean was not dead, only severely injured. Many who acted with Dean thought he had exceptional talent. Perhaps the most enduring part of James Dean's legend is the belief that beauty is ultimately destroyed by violence. That legend is kept alive by numerous books and a festival in Fairmount that more than fifty thousand people attend each year on the anniversary of his fatal accident. Alexander, Paul. Boulevard of Broken Dreams: The Life, Times, and Legend of James Dean. New York: Viking, 1994. Bast, William. James Dean. New York: Ballantine Books, 1956. Dalton, David. James Dean: The Mutant King. Garden City, NY: Doubleday, 1974. Herndon, Venable. James Dean, A Short Life. San Francisco, CA: Straight Arrow Books, 1974. Howlett, John. 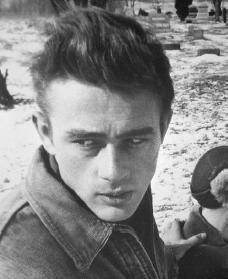 James Dean: A Biography. New York: Simon & Schuster, 1975.